Your Baby Won't Sleep Unless Held? Find Out Why and How to Solve It! 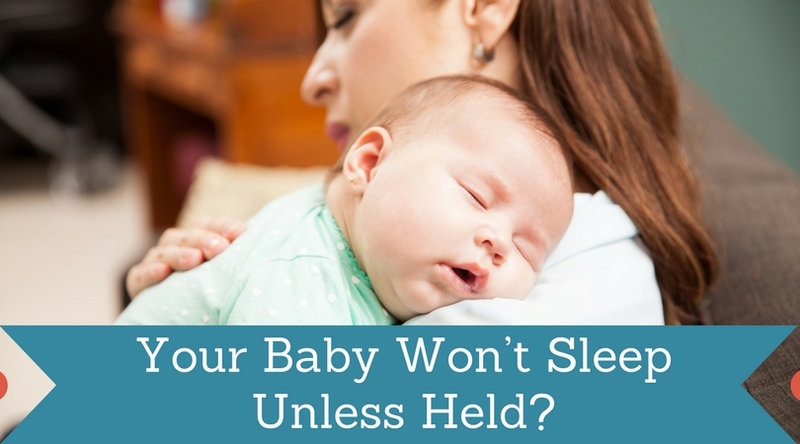 →Your Baby Won’t Sleep Unless Held? Find Out Why and How to Solve It! You may have suffered from it before. Your baby tosses and turns all night, crying himself to sleep UNLESS you happen to be there holding him! While it may seem sweet at first, it ends up worrying you as you want him to grow without the constant coddling, especially since you have other things to take care around the house. Yes, YOU are the reason why your baby won’t sleep unless held! The way you cared for your baby during the first few months will play a HUGE part of why your baby can't sleep unless held. Mothers have breastfed their crying babies to sleep, just for them to keep quiet and have a good night's rest. That makes your baby used o the constant rocking and makes their body crave for a feeding to help them drift off. Fathers might have rocked their daughters and sang to them until they drift off. Without the voices or coddling, your baby ends up growing dependent to the constant affection just to make them sleep. Another reason would be BOTH parents always doting on their baby before bedtime, keeping them up by playing with their baby and keeping them excited. Yes, it’s sweet. But there needs to be balance! And because of all the coddling and carrying, your baby either can’t or won’t sleep unless held and it leaves you exasperated. Not only will your sleep be compromised because of having to rock your baby before bedtime, but you will always need to keep an eye on them as well. And this might grow to be a habit until your baby reaches the toddler stage! But don't worry, as what you did is NOT wrong. Your baby just got used to him sleeping as he is held by the loving arms of his parents! But now it's time to allow a bit of growth and let him sleep by himself in his cot or crib (still under supervision, of course). Sleeping Schedule : Make sure that your baby follows a sleeping schedule. He will soon get used to sleeping around those times, and drift off with or without being held. Let him take short naps throughout the day, but not long enough to keep him up at night. Have Fun at Daytime : Engage with your baby and play with him. Talk to your baby, play music, rub his feet, and spend a lot of time with him. Lower the Activities at Nighttime : Once evening arrives and he has had his dinner, begin calming activities. Playtime during the night might be fun, but it keeps him up! Have a last feeding for the day and give him a bath, anything that makes him sleepy. Bedtime Rituals : Once you have done the calming activities, create a routine that has him sleep. Both of the parents should participate so your baby can sleep soundly with either parent doing the ritual. 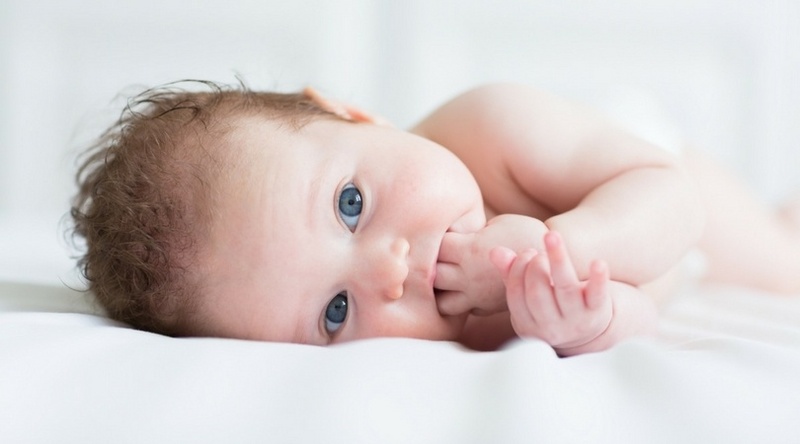 Soother : Your baby's environment may also be a factor, so make sure that the room is organized and dim for bedtime. Give him a soother, like a small and soft blanket. Bedtime : Make sure that he is still awake (but also tired) when putting him to bed. Rub his arm and legs so that he will drift off to sleep. Once he is asleep, follow this procedure again tomorrow and the next few weeks. You'll notice a huge change. If your baby doesn't sleep unless held, then you might be in a pickle, especially if you need to go to work or run some errands around the house. Fortunately, there are ways of helping your baby sleep independently on his cri﻿﻿b, provided that you determine the reasons why and follow these steps! I hope that this article helped you figure out why your baby won't sleep unless held. Once you have followed these steps, you can enjoy your free time while the baby sleeps! So what are you waiting for? Try these tips to have your baby sleep soundly today. If you enjoyed the article or have any questions regarding your baby and sleep, then comment down below. I would love to hear your tips and experiences regarding the matter. Your baby falls asleep while nursing? Help is on the way! How can I successfully get my 2month old to sleep without being held and they cry when people hold him. He was born 7weeks early and was in the NICU.